Yet another shining star in Sri Lanka 's theatrical and cultural firmament Henry Jayasena, popularly known as Sudu Seeya, passed away on November 11 at Colombo South General Hospital . He was 78. His remains were cremated at the Borella cemetery attended by a large gathering of relatives, fans and friends. Henry was born on 06th July 1931 at Bendiyamulla, Gampaha. He studied at the Lorenz College, Gampaha and later at Nalanda College, Colombo. He began his career as an Assistant Teacher of English at the Dehipe Primary School in Nuwara Eliya district in 1950 where he directed his first play Janaki. After passing the General Clerical Service Examination, he secured employment with the Public Works Department of Sri Lanka. I met Henry for the first time when he came one day in 1957 with Gunasena Galappatty to see my caricature portrait exhibition presented by the United States Information Service (USIS) in Colombo. That meeting marked the beginning of a very dear and enduring friendship between us. It also paved the way for my entry into the world of theatre when he invited me to undertake stage décor, makeup and costumes for his play Pawkarayo (1958) and Janelaya (1962), both produced with Colombo University Sinhala Sangamaya. Pawkarayo was staged at the King George Hall at Colombo University. Henry introduced me to Professor Ediriweera Sarachchandra when he came to see the play. Sarachchandra instantly invited me to help him with the make-up in Maname as it was then creating history at the Lionel Wendt Theatre. This encounter began an adoring friendship with Sarachchandra. He inspired me to undertake costume designing and make-up for his Mahasara (first and second productions) Pematho Jayathi Soko, Maname (second production) and Sinhabahu (second production) and be the Artistic Director. It all happened with Henry's introduction. Some semblance of Serendipity as many beautiful things came to pass eventually in the course of my association with the artistic community in Sri Lanka! Henry married Manel Illangakoon in 1962 and I had the privilege of being his best-man. A brilliant actress in her own right, both on stage and in cinema, Manel passed away a few years ago leaving an insurmountable loss in Henry's life. He grieved for her to his dying day, fondly calling her Mage Manel ( My own Manel). In memory of the love of his life, Henry established 'Manel Jayasena Health Care and Educational Trust Fund' in Sri Lanka. They are survived by their only son Sudharaka. 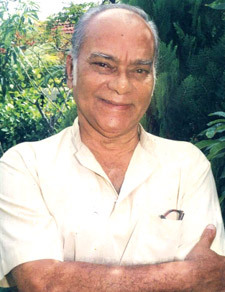 Henry had a seismic impact on the Sinhala Theatre as an actor, playwright, producer and writer. He was an elegant communicator equally eloquent in both English and Sinhala. He was gracious, humble, always moved with a dignified reserve. In Professor Ediriweera Sarachchandra's original production of Maname (1956) Henry played the star role of Prince Maname along with Ben Sirimanna. Trelicia Abeykoon was Maname Bisava. In Sarachchandra's Hasthi Kantha Manthare (1961) I had the privilege of acting with Henry. He took the role of King Udayana and I was the Senadhipathi with Ben as King Chandappajjotha and Trelicia as Vasula Daththa. He mesmerized the audience as he explored the mystique and majesty of the Elephant Charm (Hasthi Kantha Manthare) set to the haunting music of Maestro Amaradeva. With the adaptation of Bertolt Brecht's 'Caucasian Chalk Circle' as Hunuwataye Kathawa (1967) and his 'Mother Courage' as Diriya Mawa Saha Agey Daruwo (1972) Henry introduced the dynamics of Bretcht's theory of Epic Theatre and brought in a new and refreshing dimension to the Sinhala Theatre. Henry's starring role as Judge Azdak in Hunuwataye Kathawa and his cinematic performance in the award winning Gamperaliya as Piyal (1964) and as Lalith in the film Dahasak Sithuwili (1968) brought out the very best in Henry as a brilliant actor. He acted the main roles in Hansavilak, Gehenu Geta, Kaliyugaya and Raththaran Neth. Sri 296, Vena Swargayak Kumatada, Suhada Sohoyuro, Heta Pramada Vedii, Beddegama, Sodadu Unnehe are other works where he performed as a supporting actor. He was a catalyst in the birth of a profusion of dramatic works of outstanding quality. Manamalayo (1953) Vedagathkama (1954) Atta Kumakda (1955) Kuveni (1962) Thavath Udesanak (1964), Manaranjana Wedawarjana (1965) Ahas Maliga (1966) Apata Puthe Magak Nethe (1968) Makara (1973) Sarana Siyoth Se Puthuni Hambayana (1975) Jayathu Lanka (1983) are among the other plays he wrote and directed. Henry was honoured by his alma-mater Nalanda College in 2003 with the award of Nalanda Keerthi Shri In 2004, he was awarded a Doctorate in Literature (DLit) by the Sri Jayawardhanapura University. Henry was in the forefront resurrecting the dying art of Sinhala Theatre. He was the last link of a generation of artistes who along with Sarachchadra, Gunasena Galappatty, Dayananda Gunawardhana, Dhamma Jagoda and Sugathapala de Silva pioneered the cultural renaissance and ushered in and sustained the Golden Age of Sinhala Theatre in Sri Lanka. Henry was a genius, a beautiful man with a beautiful mind. May I say adieu to the enchanting memory of our princely friend Henry Jayasena in the same way as he wished us farewell when we parted company on our last visit to see him in Sri Lanka: Sasara Wasana Thuru - Nivan Dakina Thuru.